As you may have noticed, we've been a bit quiet at GLXP headquarters over the past week or so. The team has scattered across the U.S., with Nicky attending the National Space Symposium, Will at President Obama's address at the Kennedy Space Center, and Chanda at the FIRST Robotics World Championships. It has certainly been an eventful week for space news, to say the very least. I don't know about you, but I imagine a lot of rover parts spinning and blinking when I look at this picture. This team also gets +1 for being on Twitter, Facebook, and YouTube. [Random side note: the BMT twitter handle is @bcnmoonteam. Maybe I've been spending too much time on the internets, but doesn't that look short for "baconmoonteam"? Look out, Part Time Scientists.] 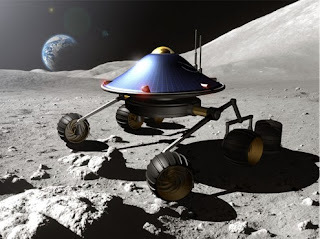 General GLXP goofiness aside, you should know that the Barcelona Moon Team expects to start populating all of their social media channels next week after the formal announcement, so be sure to follow them. 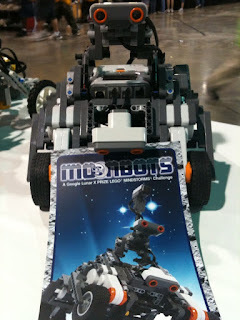 2) Launch of the Moonbots Competition! We've been talking about this student competition for a long time, and now with the addition of our fantastic education manager, Chanda, this robotic contest is a GO. An initial announcement was made by X PRIZE and LEGO at the FIRST Robotics World Championships yesterday, April 15. The formal announcement and launch of online platforms will take place next Tuesday, April 20 -- but if you would like to read about the competition now, GeekDad at Wired (a partner of the competition) has the press release posted. 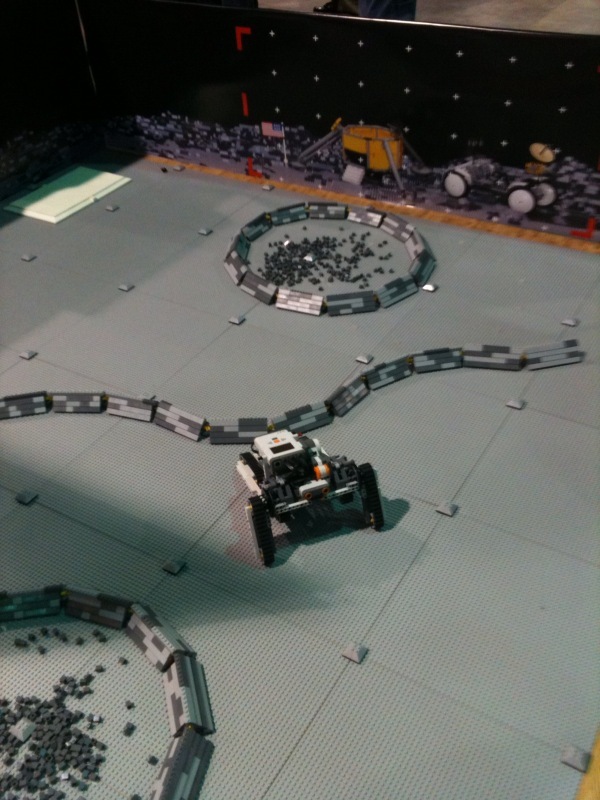 This is going to be a fun and popular contest for students -- because really, who doesn't love robots and LEGO? Big thanks to the GLXP Moonbots partners that have made this competition happen: LEGO, Wired, National Instruments, and Google. More to come in the next week! There is one more event on the horizon, which I very vaguely hinted at this week and will announce on Monday here on the blog and via Twitter. And with that, I must get back to work to make some things happen! Be sure to check back with this blog next week to hear more from Nicky, Will, and Chanda about their adventures this week.